Get €200 off a home alarm system. Burglar alarm with wireless sensors protecting the perimeter and interior of your home. Get a quote today! 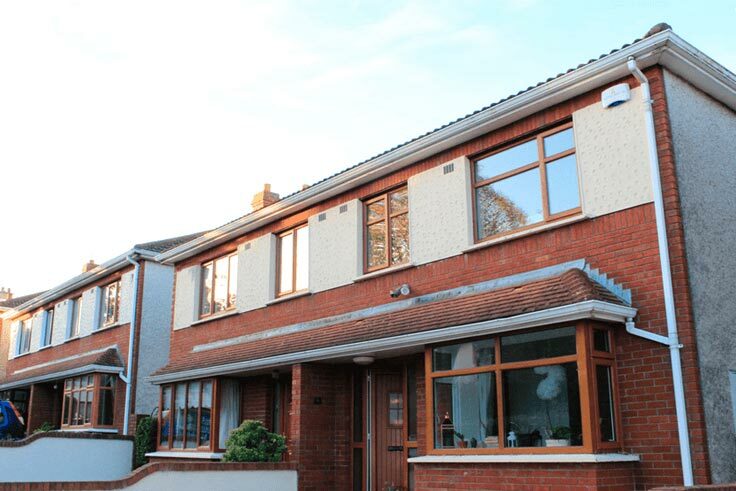 Our ZeroWire™ burglar alarm is one of the most up-to-date home security systems on the Irish market. The alarm comes with panic buttons for the emergency services and it has a Stay function, enabling you to turn on the perimeter sensors when you are home. Our home security pack comes with internal motion sensors and perimeter sensors, giving your home the protection, it deserves. The panel is app compatible, which allows you to see when alarm has been disarmed and allows you to bypass sensors. You can also set or disable your alarm from your smart phone. I give HomeSecure.ie permission to contact me via phone, email and SMS regarding the purchase a new home alarm KeyFob. For more information, please see our Privacy Statement and Terms & Conditions. 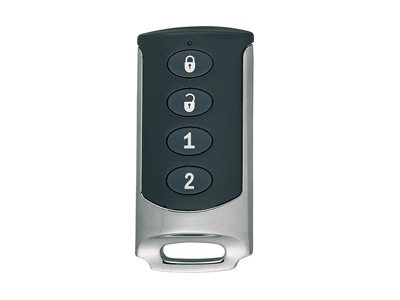 The four-button KeyFob is a portable wireless device allowing customer to arm or disarm their system without having to memorise access codes or race to beat entry or exit delays. Similar to a car KeyFob, you can turn your alarm on or off from the touch of a button, so you won’t have to enter your pin your panel. The KeyFob is incredibly handy if you are coming home with bags of shopping and you’ll struggle to reach the panel in time or if you are in bed and don’t want to go downstairs to activate the alarm, simply activate your alarm with the touch of a button. When you receive your KeyFob, please contact HomeSecure and we will activate it with your alarm panel. Get Your HomeVision Camera Today! I give HomeSecure.ie permission to contact me via phone, email and SMS regarding the purchase an internal camera. For more information, please see our Privacy Statement and Terms & Conditions. We are excited to bring the latest HomeVision Internal Camera to all our ZeroWire customers. You can now upgrade your home security with a live camera stream straight to your phone. The HomeVision camera has been specifically designed for the ZeroWire alarm system and you must have this alarm panel to use this camera. The camera is plug & play, which enables you to move it to different areas to your home as much you please. The €199 fee is a once-off payment and excludes postage and packaging. There will be no additional fee added to your monitoring. HomeVision requires the ZeroWire alarm system that is synced to your Wi-Fi. You must have Wi-Fi in your home to use the HomeVision. It is an Internal camera only i.e. not recommend for outdoors. Camera is not waterproof. Camera requires access to a plug socket for power. Recording function records to the Micro SD card in the camera which can be pushed to the user’s phone via Text Message or WhatsApp. Does not offer a continuous cloud storage solution. If the customer discontinues their HomeSecure.ie Monitoring they will not have access to the ZeroWire App or Live camera feed. I give HomeSecure.ie permission to contact me via phone, email and SMS regarding the purchase a new home alarm SmartPlug. For more information, please see our Privacy Statement and Terms & Conditions. Start your journey of home automation with the HomeSecure SmartPlug. The SmatPlug is designed to work alongside our ZeroWire alarm panel. Control your Home from anywhere in the world, remotely access HomeSecure’s Smart Plug via the HomeSecure App. Plug and play: simply plug your any item into your SmartPlug and control when it comes on or off through your Homesecure App. If you're not home, switch on a light to give the impression the house is occupied to deter intruders. Simply plug a lamp into your SmartPlug and then manage it from your App. Set an item to come at a certain time every day. In the winter set the heating to come on 15 minutes before you come home from work or simply warm up your coffee machine so it's ready to go when you wake up. Safety features: switch off hazardous items such as hair straightener / irons so they don't overheat. I give HomeSecure.ie permission to contact me via phone, email and SMS regarding the purchase a new monitored smoke alarm. For more information, please see our Privacy Statement and Terms & Conditions. 700 Series Optical Smoke Detector is a state of the art Smoke Detector that continually monitors its own sensitivity and operational status. Can run both automatic and manual self-diagnostics. Once a day the smoke detector performs a full diagnostic test that includes dynamically testing the sensing chamber and internal electronics. Any abnormal statuses are reported locally and to your ZeroWire™ panel.